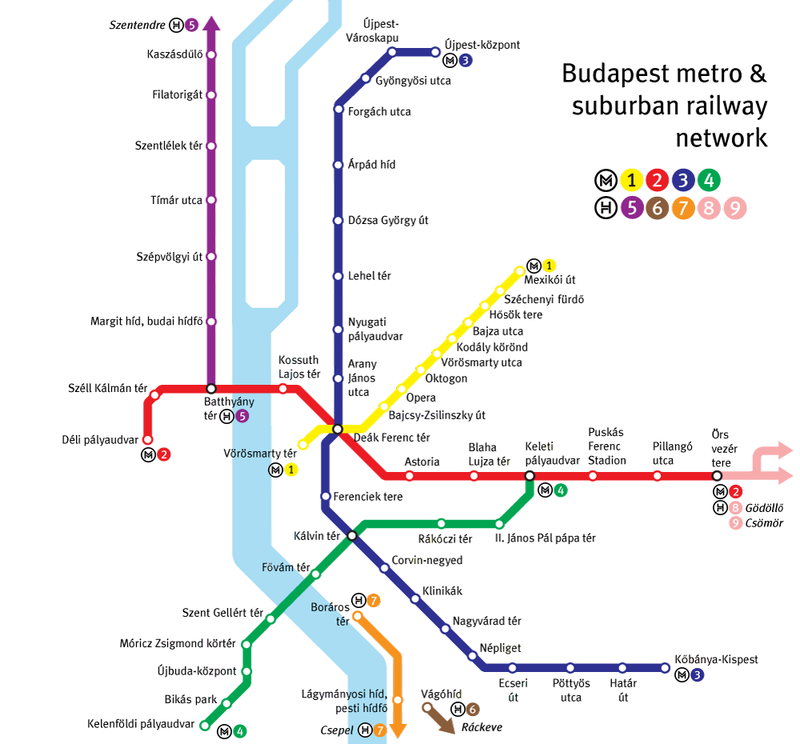 In the city centre, at Deák tér or Vörösmarty tér, you can take the M1 underground line (infomally known as the “Yellow Line”). The Institute is a 5-minute walk from the Bajza utca stop of this underground. When you come out of the underground, walk ahead on Andrássy út towards Heroes’ Square. Turn right at the first corner (Munkácsy Mihály utca) and walk two very short blocks to the end of this street. 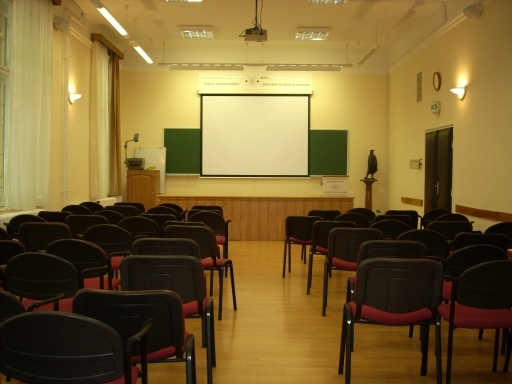 Now you have arrived at Benczúr utca and the Research Institute for Linguistics is across the street from you slightly to the left. From Budapest Airport Terminal 2. Take the bus no. 200E from outside the airport terminal to the underground station called Kőbánya-Kispest, which is where the bus line terminates (the ride takes about 20 minutes). From here you can take the underground (M3 / “Blue Line”) to Deák tér underground station, where you have to change for metro line 1 (M1 / “Yellow Line”) in the direction “Mexikói út”. Get off at the stop called “Bajza utca”. 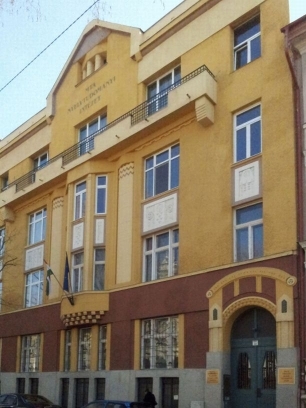 The Institute can be found at 33 Benczúr street, a five minute walk from the underground station. You can also take an Airport Shuttle from the Airport, which is a fixed-price taxi service, operating minibuses that carry 3-8 passengers together (see description above). Taxis are also available from the taxi stand right outside the arrival hall. Only one taxi company (Főtaxi) is authorized to use the airport cab stands, but you can also call one of the taxi companies listed below. Please be aware that you expose yourself to risk if you use non-regulated taxi service providers soliciting at the terminal buildings. Licensed taxis are usually yellow, and they have an information board on the window proving that they are a licensed Budapest taxi. The price of taxis is regulated at a fixed tariff, so you can choose any of the licensed taxi companies. For further information related to the airport, check the Budapest Airport website. If you arrive by train from abroad, your most likely terminal is Keleti Pályaudvar ("East Station"), which is on the M2 (“Red Line”) of the Underground. Take the underground in the direction of "Déli Pályaudvar", and change at "Deák tér" station to the M1 (“Yellow Line”) in direction "Mexikói út". Get off at the stop called "Bajza utca", and you will reach the Institute by a five minute walk (see description above). 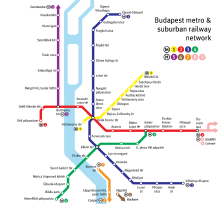 If you arrive by coach from abroad, your most likely terminal is Népliget Buszpályaudvar, which is on the M3 line (“Blue Line”) of the underground. Take the underground in the direction of "Újpest-Központ", and change at "Deák tér" station to the M1 (“Yellow Line”) in the direction of "Mexikói út". Get off at the stop called “Bajza utca”, and you will reach the Institute by a five minute walk (see description above). For information on tickets and passes for the public transport, click here.